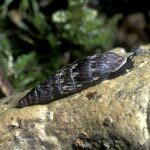 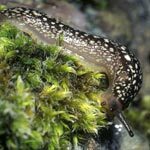 Snails, slugs and bivalves (non-marine molluscs) are almost ubiquitous on land and in the freshwater of Ireland. 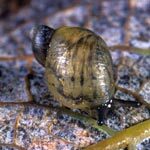 We have about 150 native or naturalised species with another 25 or so non-native species found in heated greenhouses or aquaria. 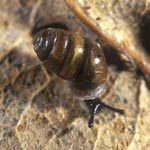 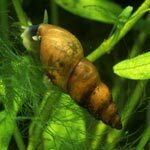 These range from tiny pea shells a few mm long found in swamps and flooded places to the large pearl and swan mussels of rivers and lakes, and from the tiny plaited snail and chrysalis snails of native wet woodland to the pointed snail of sand dunes or the common edible snail of gardens. 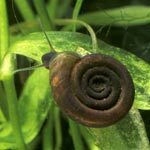 The beauty of the snail shell, which protects the vulnerable soft parts, has been a source of fascination since ancient times and shells have been traded as substitutes for hard currency in several cultures. 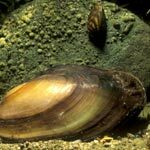 Shell collecting was a fashionable activity in Victorian times but even today, shells are traded extensively through the Internet. 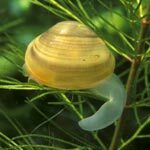 Most are the larger and more handsome shells of tropical marine faunas but the specialist can find much to admire and explore in our own, native, fauna.